After much consternation and hand wringing, I am attempting to revive my blog. I've learned from previous deterrents and now have a clearer vision of the topics I'd like to cover. So, for the time being, I am simply saying "hello" and giving those interested the opportunity to subscribe. 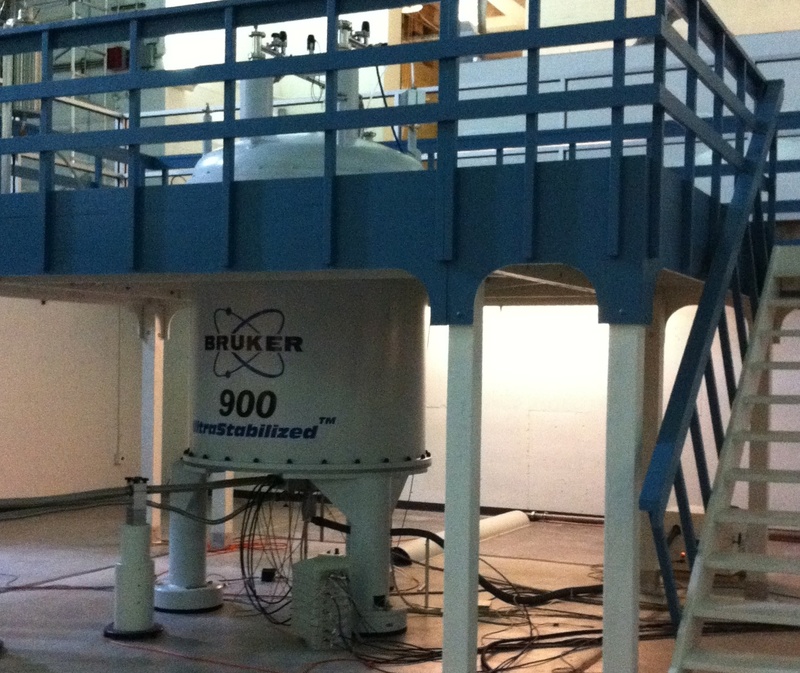 In the meantime, I leave you with a picture of one my1 toys: a 900 MHz nuclear magnetic resonance (NMR) spectrometer equipped with a cyropbrobe. This is an example2 of the instruments I use to collect data. You can learn a little more about me and how I use NMR here.